Linaker Wheelathon - A Massive Thank You! 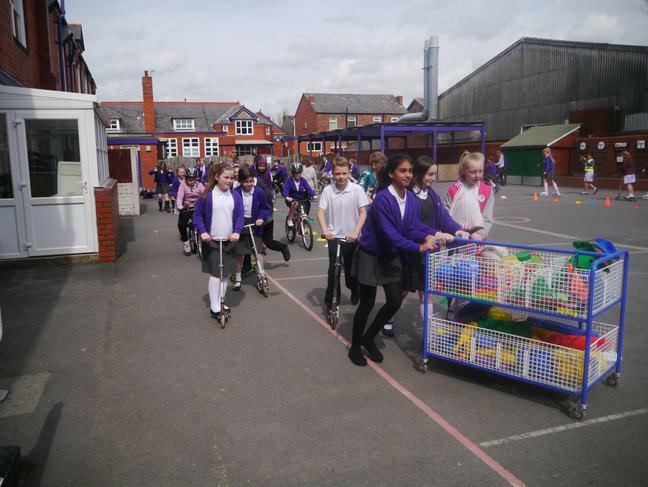 Everyone at Linaker has been delighted by the fantastic support that all our families gave to our sponsored 'Wheelathon'. We are proud to announce that we have smashed through our target amount and raised an incredible £2280. We are so grateful to all those parents and pupils who help us to such a great result! The first fruits of the money are already on show in the playground where one of the football cages has been fitted with astroturf and the money will ensure that other improvements will follow soon. Again, on behalf of all the pupils, thank you all so much!